Bristol Animal Rights Collective presents the (in)definitive guide to animal rights. 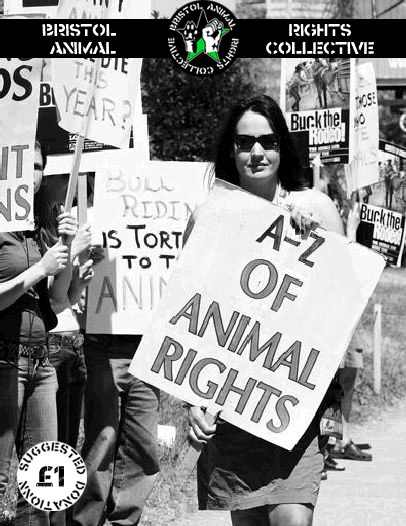 From Abolition to Zoonosis the A-Z of Animal Rights gives you an insight into (almost) everything you need to know about the animal rights movement – and then some! 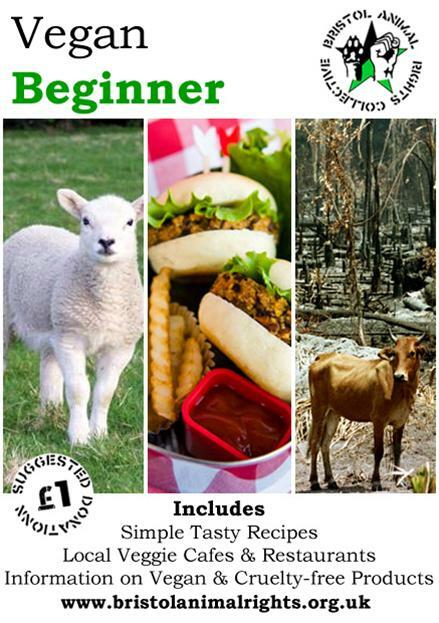 Bristol Animal Rights Collective’s handbook for those looking to make the transition to a animal-free, plant-based diet. Includes simple tasty recipes, local veggie cafes & restaurants plus information on vegan & cruelty-free products.